Posted on 06/18/2018 by Mickey McCarter	in Live Review and tagged Birmingham, Dave Wakeling, England, punk, R&B, reggae, ska, State Theatre, The English Beat. 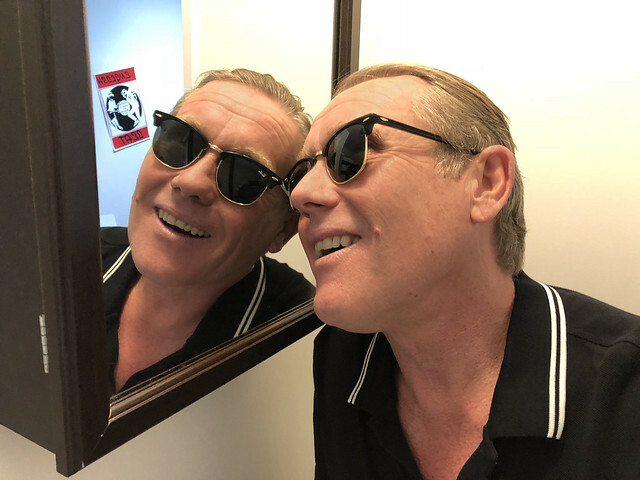 The English Beat starring Dave Wakeling released Here We Go Love, their hotly anticipated new album on June 15! It was the first new album from The English Beat since 1982! And it’s full of terrific songs. Dave and company will play some of those songs along with old favorites at the State Theatre on Thursday, June 21. In a review for AllMusic, Mark Deming praised the “pop hooks and dance-friendly rhythms” of the new album. “Wakeling’s voice is as strong and expressive as it was in the ’80s, and “How Can You Stand There,” “If Killing Worked,” and the foul-mouthed title tune show he’s still a pithy lyricist with a sharp point of view. In short, Here We Go Love is convincing evidence that Wakeling still has plenty of good music left in him, and he leads a band that’s tight, versatile, and full of joy and fire,” the review said.